The John Deere Aercore 800 is a powerful walk behind aerator that performs brilliantly. It is designed for excellent manoeuvrability, simplicity, and versatility. It does not require any adjustments to maintain a consistent hole spacing and ground speed. 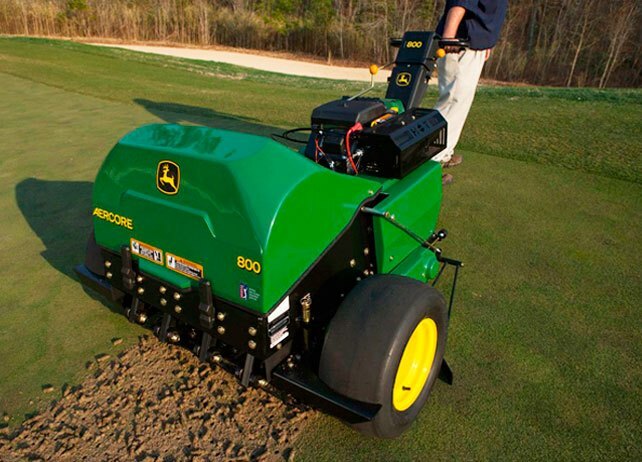 It also has a verticutter attachment that allows users to verticut, aerate, or perform both functions simultaneously.